There is still snow on the roof of the workshop building and the melting water freezes over in the night with temperatures below zero degrees. 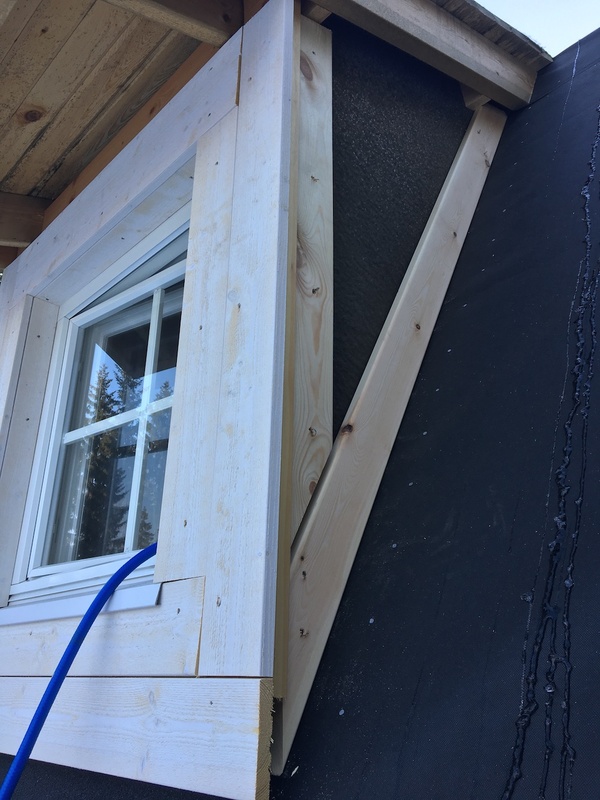 But with the front of all dormer windows being ready (minus a few strokes of paint), I started building the sides of the dormer windows. The first step is to attach spacer boards. 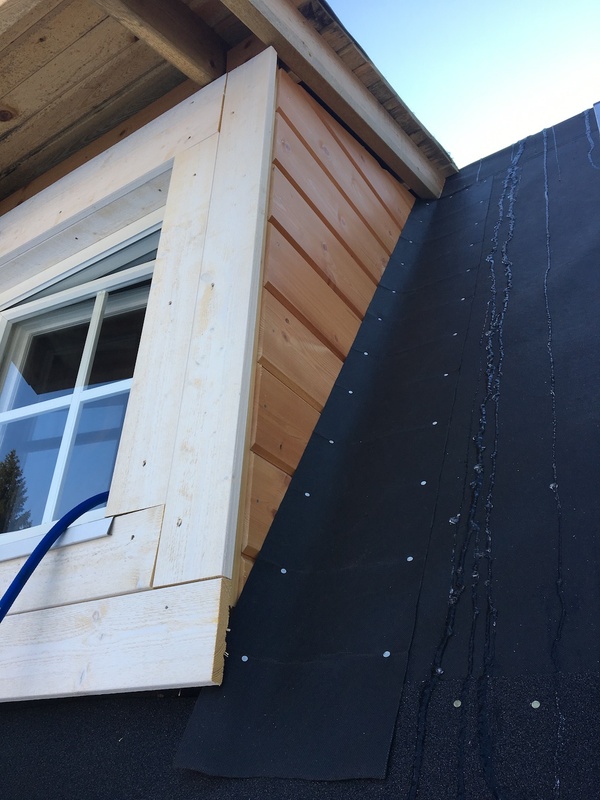 By design, these spacer boards allow the air to circulate behind the wooden paneling. 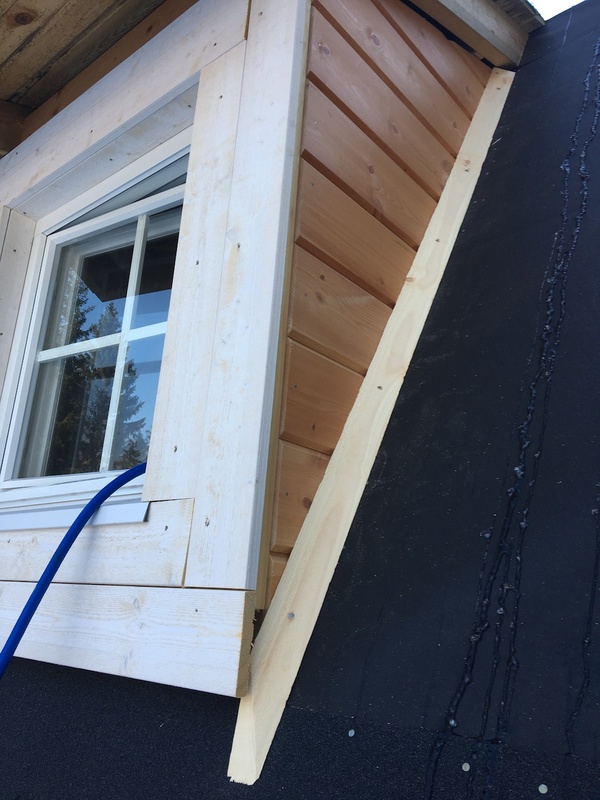 In reality, the entire dormer structure is so tight and complex that I doubt much air will circulate anywhere, but…I will follow the building instructions of the manufacturer, just in case. Up next are the log-style panels from bottom to top. Each panel being a unique piece cut at least on two sides, the final rows even 3 times. Quite a jigsaw puzzle I must say. 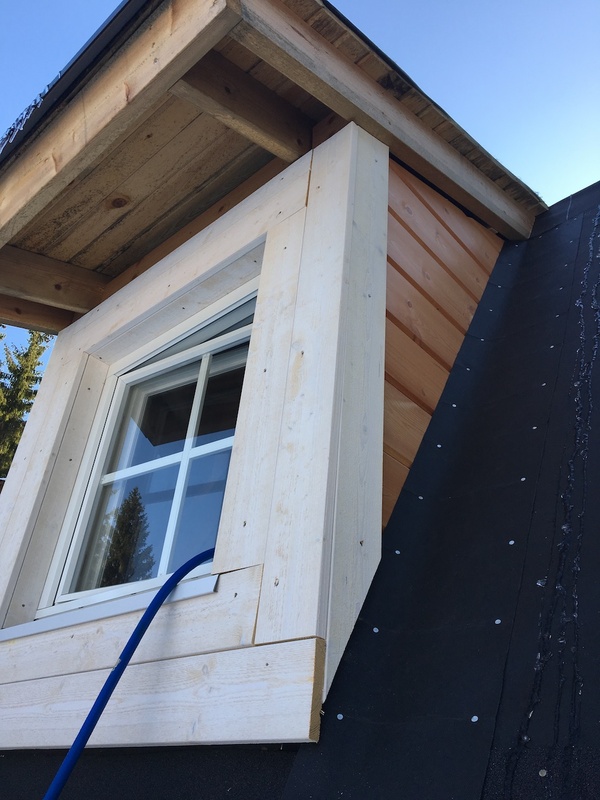 On top of the panels comes a triangular list whose sole purpose is to curve the underlay and later the roof shingles up keeping the water (and in the winter the snow) away from the wood. The second to last step is attaching a slim piece of underlay. 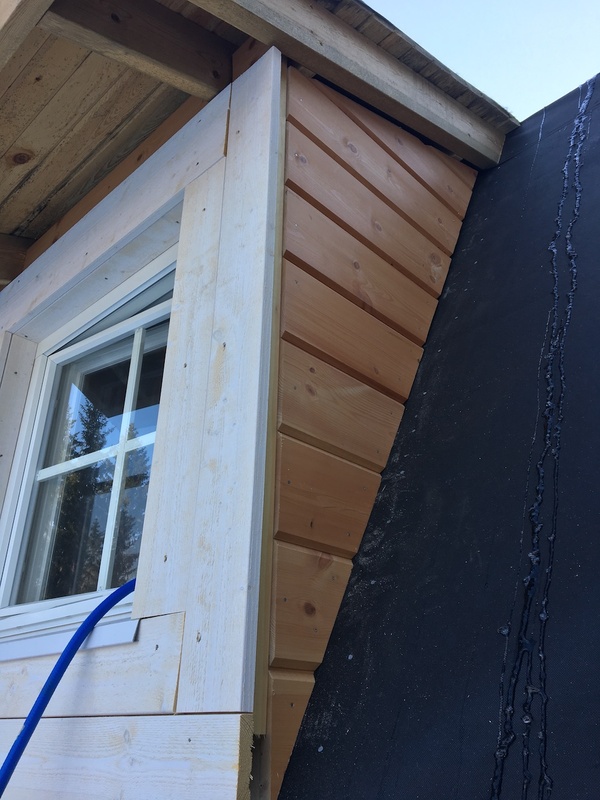 This step would not be necessary if I would have built the workshop roof by the book, but since I didn’t have the time to do all these things before the first winter came I had to make compromises. The last step is to attach a covering board for an even finish of the corner.